I think I've established that I like hats, particularly fascinators. I envy the British, like Kate and Pippa Middleton, who get to wear them at social events. 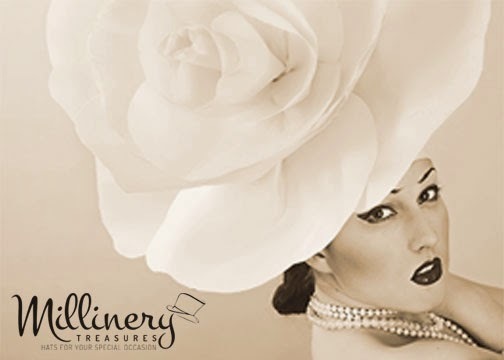 If only all the stylish ladies in NY would start wearing hats to the luncheons we attend. I tried to drum up hat enthusiasm for a few luncheons, but my friends pooped out and I just got weird looks. So it remains in NYC that the only luncheon where hat wearing is de rigueur is the annual Central Park Conservancy's Hat Luncheon. I'll keep trying, because I love the way they look and because I think people behave better when they're wearing hats. There's an old fashioned civility that seems to emerge when a hat is worn. 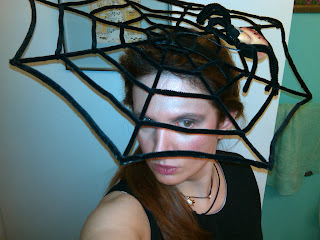 In the meantime, Halloween seemed a good time to wear a headpiece. I found a fabulous spider web fascinator in a little shop in Grand Central Station and I wore it on Halloween. I love it and need to find an excuse to wear it again.